The children tumble, juggle, smile and laugh. They roll over mats and keep bowling pins in the air. They perform a series of circus acts. It's a special treat for them. Their country, Afghanistan, has had wars for thousands of years. And it does today. The country is far from America. Life is difficult there. The Mini Mobile Circus for Children is a program run by a nonprofit group. That's where the children learn their tricks. Some 850 children across the country take part. It includes children from families that have lost their homes. "We want Afghan children to taste a peaceful life to get ready to make a peaceful life in their future," said David Mason, one of the program's leaders. Recently, the children performed in the city of Kabul. They also did magic tricks and juggled flaming pins. Girls wearing brightly colored hijabs took part. 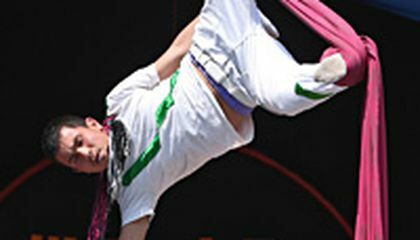 I think that this article informs about circus who make children have happy and a peaceful day. I also think that the circus cheers the children up. I agree because children in the city of Kabul bad a miserable life before the circus had came. I learned that the children in Afghanistan were very miserable before the circus had came to Afghanistan. 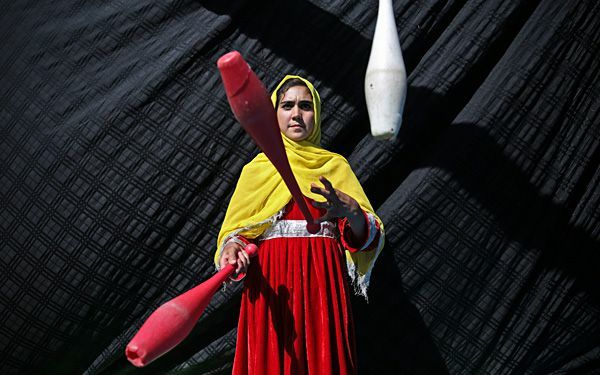 I am amazed because a circus had made a children Afghanistan back to peace and quiet. This is an amazing article because the circus is very honorable to help the children in the city of Kabul get back to peace and quiet.